Osama bin Laden's demise in May 2011 marked only the symbolic end of an era. By the time of his killing, he no longer represented the Robin Hood icon that once stirred global fascination. Ten years after the 11 September 2001 attacks, jihadi terrorism has largely lost its juggernaut luster. It now mostly resembles a patchwork of self-radicalising local groups with international contacts but without any central organisational design - akin to the radical left terrorism of the 1970s and the anarchist fin-de-siècle terrorism. 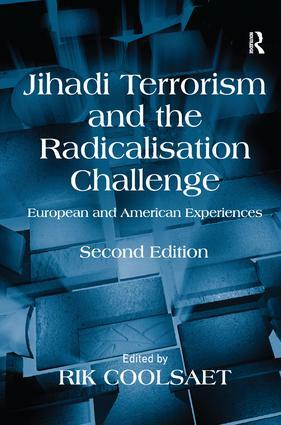 This volume addresses two issues that remain largely unexplored in contemporary terrorism studies. It rehabilitates the historical and comparative analysis as a way to grasp the essence of terrorism, including its jihadi strand. Crucial similarities with earlier forms of radicalisation and terrorism abound and differences appear generally not fundamental. Likewise, the very concept of radicalisation is seldom questioned anymore. Nevertheless it often lacks conceptual clarity and empirical validation. Once considered a quintessential European phenomenon, the United States too experiences how some of its own citizens radicalise into terrorist violence. This collective work compares radicalisation in both continents and the strategies aimed at de-radicalisation. But it also assesses if the concept merits its reputation as the holy grail of terrorism studies. The volume is aimed at an audience of decision makers, law enforcement officials, academia and think tanks, by its combination of novel thinking, practical experience and a theoretical approach.